CertainTeed's proprietary ColorMax Finishing System provides a range of design options - 16 solid colors and 6 natural wood stains. 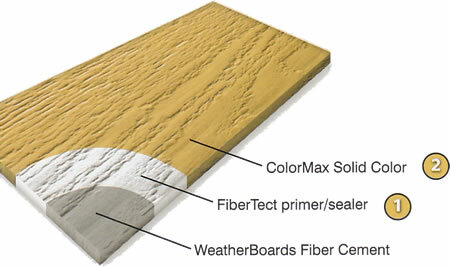 With factory-applied consistency and performance, these Fiber Cement Siding also include CertainTeed's FiberTect proprietary primer/sealer to protect against moisture. 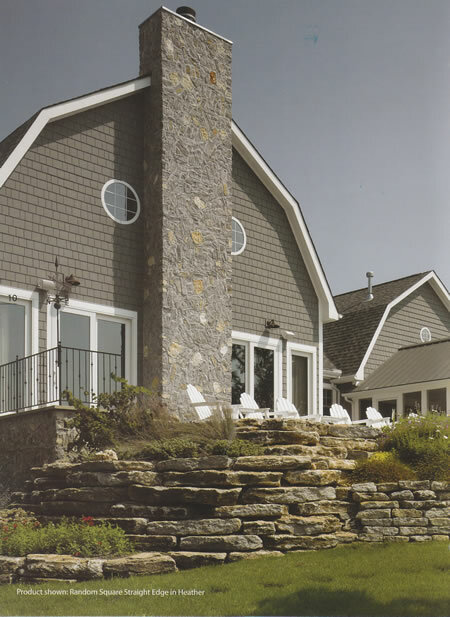 Berkeley Exteriors has over 20 years of experience installing new siding for Connecticut homeowners. We're local and stand behind our work. For a free estimate, give us a call at 203 877-4373 to schedule a no-obligation consultation or submit the form below. We look forward to working with you. Honesty and integrity is what makes the real difference and separates Mike from the rest of the industry. In every way, our expectations were exceeded -- pricing, quality, workmanship, ease of doing business with this company. A++ Job! We're never high pressure and we won't try to sell you something you don't need. We have been standing beind every job since 1992...and we won't stop doing so anytime soon. Request a no obligation quote and you'll be surprised at how reasonable our rates are. So whether you need an urgent roof replacement, a few windows replaced or planning for a major upgrade, we appreciate the opportunity to discuss your project with you. Serving New Haven and Fairfield Counties. Including Allington, Ansonia, Beacon Falls, Bethany, Branford, Cheshire, Derby, Devon, East Haven, Guilford, Hamden, Indian Neck, Leetes Island, Madison, Meriden, Middlebury, Milford, Monowese, Naugatuck, New Haven, North Brandford, North Guilford, North Haven, Northford, Orange, Oxford, Prospect, Quinnipiac, Seymour, Short Beach, Southbury, Stony Creek, Totoket, Union City, Wallingford, Waterbury, West Haven, West Simsbury, Whitneyville, Wolcott, WoodBridge, Woodmont, Berkshire, Bethel, Branchville, Bridgeport, Brookfield, Byram, Cos Cob, Cranbury, Danbury, Darien, Easton, Fairfield, Georgetown, Glenville, Greenfield Hill, Greenwich, Hawleyville, Huntington, Long Hill, Lyons Plain, Mill Plain, Monroe, New Canaan, New Fairfield, Newtown, Nichols, Noroton, Noroton Heights, Norwalk, Redding, Redding Ridge, Ridgefield, Riverside, Round Hill, Sandy Hook, Saugatuck, Shelton, Sherman, Southport, Stafford, Stamford, Stepney, Stratford, Weston, Westport, Wilton and Winnipauk.